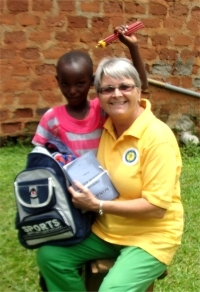 Welcome to our new Africa child sponsorship programme. We are very pleased to announce that an amazing door of opportunity has opened for Project Hope and United Caribbean Trust (UCT). 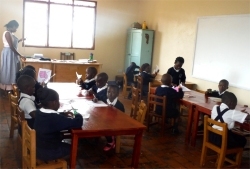 UCT’s African charity called the “African Bureau of Children's Discipleship” (ABCD) has been offered a 5 year lease with the option to purchase, the currently redundant Jack & Ethel Educational Centre orphanage in Uganda. We were met by Rev Abraham Kisembo our UCT Uganda representative and our first stop was the Hope Child Care Centre (HCCC) our orphanage in Kampala. 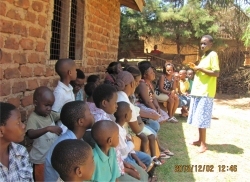 How wonderful to be able to share the Good News of Salvation with the children from Hope Child Care Centre. Heaven is a free Gift....it is not something you work for or deserve. What a delight to be able to worship with our children for the very last as we prepared to leave Africa and return to Barbados. To be able to pray for them, break generational curses and negative word curses spoken over their lives. And speak positive blessings into their lives. 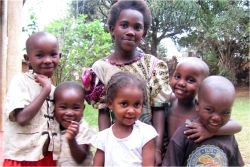 We currently offer two types of sponsorship programmes within the Africa Child Sponsorship. 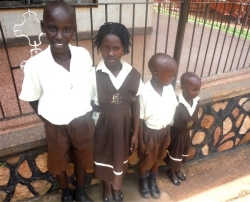 In Uganda, 57% of children finish Primary School and only 18% have the chance to attend Secondary School. 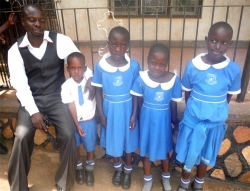 · US $50 per month pays for school fees. 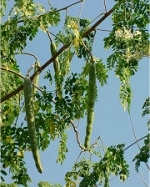 There are 3 school terms per year at approximately US$200.00 per term. 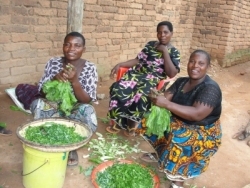 · Pays for the cultivation of vegetables on 1 1/2 acres of land behind the orphanage to feed the centre and planting of Moringa trees which feeds the livestock and provides a nutrition supplement for the children. · Pays to assist the guardian of the child with school supplies or personal toiletries and clothes. 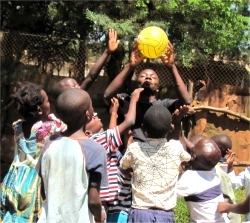 · Enables the orphan to come to the Hope Child Care Centre on Saturday to attend our Hope PowerClub and enjoy a meal and social interaction and recreation with the other orphans. 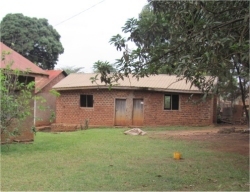 The Jack and Ethel Special Uganda School (JESUS) Complex. 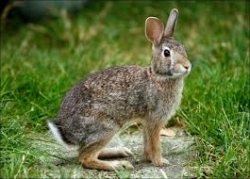 CLICK on the picture below to meet Joy. 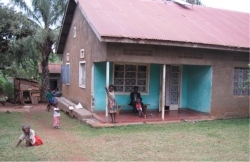 Joy's grandparents started the Jack and Ethel Educational Centre. Her mother died in child birth when Joy was only 7 months old. 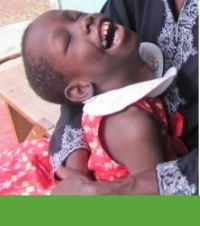 She was born mentally and physically challenged with Cerebral Palsy. Earlier this year her father died of AIDS. 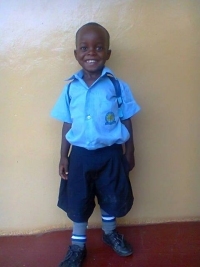 Joy is now an official orphan, cared for by her aunt Edith. 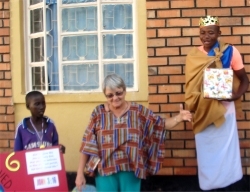 We are challenged to help establish The Jack and Ethel Special Uganda School (JESUS) Complex within the grounds of the property, a school for special needs children. 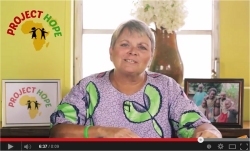 Hope House - Drop in Centre and Rehabilitation unit for street children. 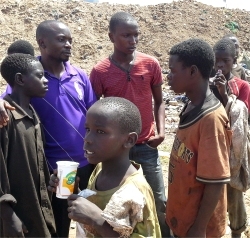 We are believing God to be able to establish a Drop in Centre for street children in Kampala, Uganda within the grounds. Hope House will be a place of refuge, a rehabilitation centre for children who are found living on the streets.